(c) Vanguard Gallery, 2007-2011 all rights res. EXCLUSIVE RARE SMALL LIMITED EDITION - NOT AVAILABLE ANYWHERE ELSE! Commercial application? 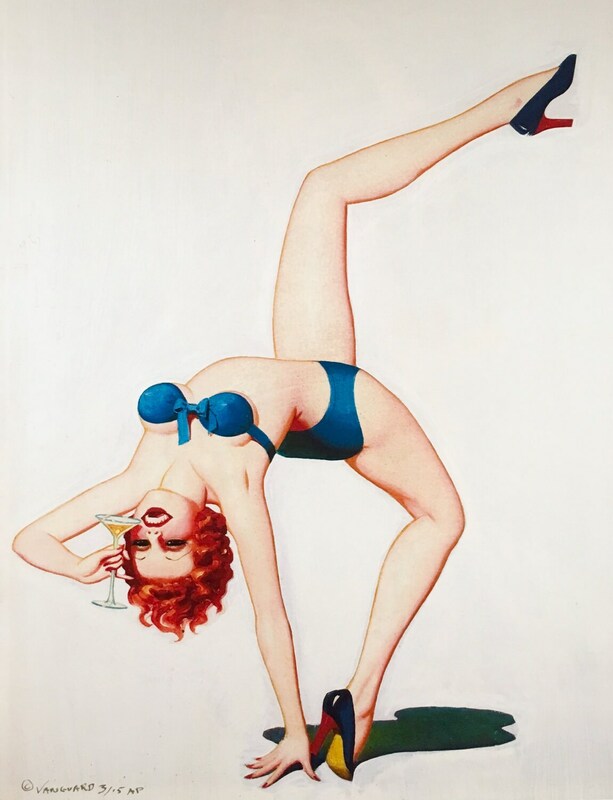 I also own the Elvgren brand, IP and have a large art archives so you can license from me. Want an original painting of this? I can paint this or customized for you on a custom request for you, include your wife or GF, shop, business or? NOTE: ORIGINAL VINTAGE PAINTING BY BOLLES (as seen in photos) or REPLICA PAINTING BY MASTER REPLICA ARTIST DANIEL VANCAS IS AVAILABLE ON REQUEST. Enoch Bolles one of the top producing Art Deco era pin-up artists, mostly because of the massive exposure his images received on magazine covers and newsstands nation wide. Bolles' pin-ups are the playful and racy flapper girl - clearly influential on many artists of his time. including the later famous Alberto Vargas and George Petty. Bolles began in 1915, when hired by the Dell Publishing Company to paint front covers for its line of Spicy Pulp style magazines.. Film Fun was the pin-up magazine that immortalized his work, though he often would not sign the paintings. From 1921 to 1948, Film Fun and other magazines had his cover pin-ups which the readers came to recognize as much as the Petty Girl from Esquire. Bolles worked for many others. 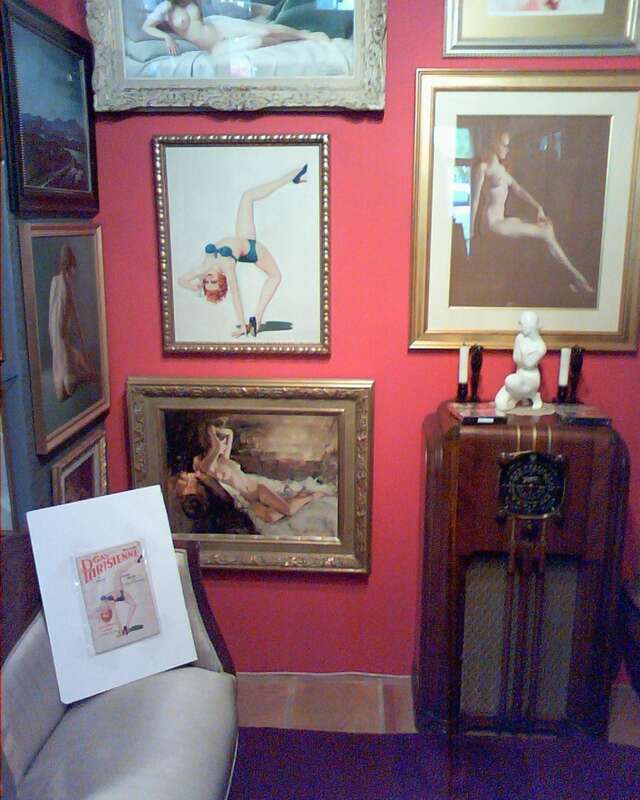 Gay Parisienne, as shown here, Coy Book, Cupid's Capers and Spicy Stories, which had the biggest distribution of his covers and pin-up girls. He sometimes had strong Art Deco backgrounds, used other props, and clothing such as flimsy negligees and bathing suits all with a strong "deco" style. The wide use of primary colors he employed was unique and playful. Although Bolles was a prolific artist, like many popular illustrators very few of the original paintings exist today. Little is known about Bolles' life, born in the Chicago area, he worked in New York City, the mecca of many publishing houses specializing in pulps and men's magazines in the 1920s through 1950's. 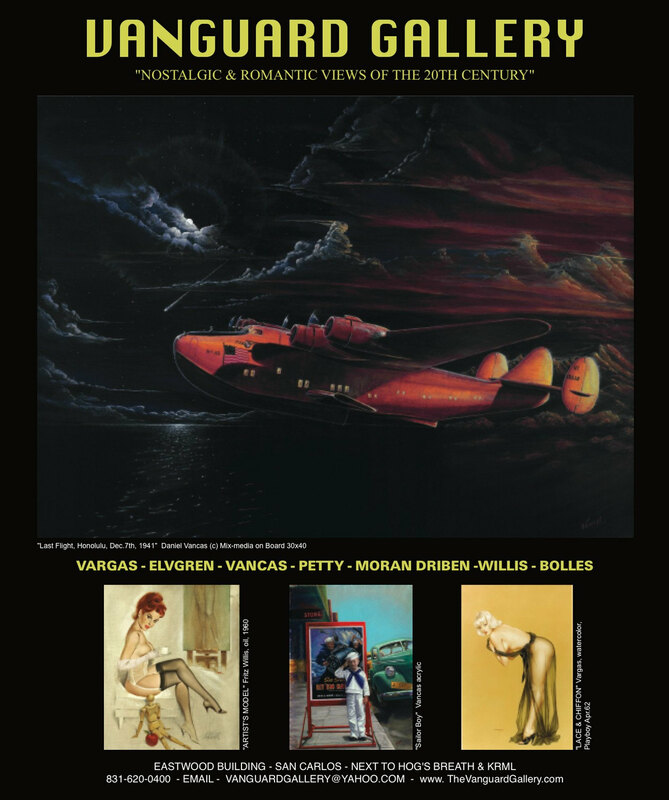 PUBLISHED BY VANGUARD GALLERY and DANIEL VANCAS, PUBLISHER IS THE AUTHORIZED ELVGREN PIN-UP REPLICA ARTIST! LIMITED EDITION - ONLY A LIMITED NUMBER SOLD AT THIS PROMOTIONAL PRICE! A Great gift for those into Police, crime drama, detectives, cop, mystery, noir, Hot Rods, retro wear, vintage clothing, W.W.II and Korean War bird, nose art and aviation collectors; and of course those that love their Martini, swing, RAT PACK, Sinatra, Elvis, Marilyn and Rock A Billy set. Would look great by the dresser, pool table, bedroom, bathroom, game room, and with 1930's art deco furniture, original paintings and sculpture.